Hand cast in USA, these sterling silver pendants are remarkably accurate and detailed on all sides. 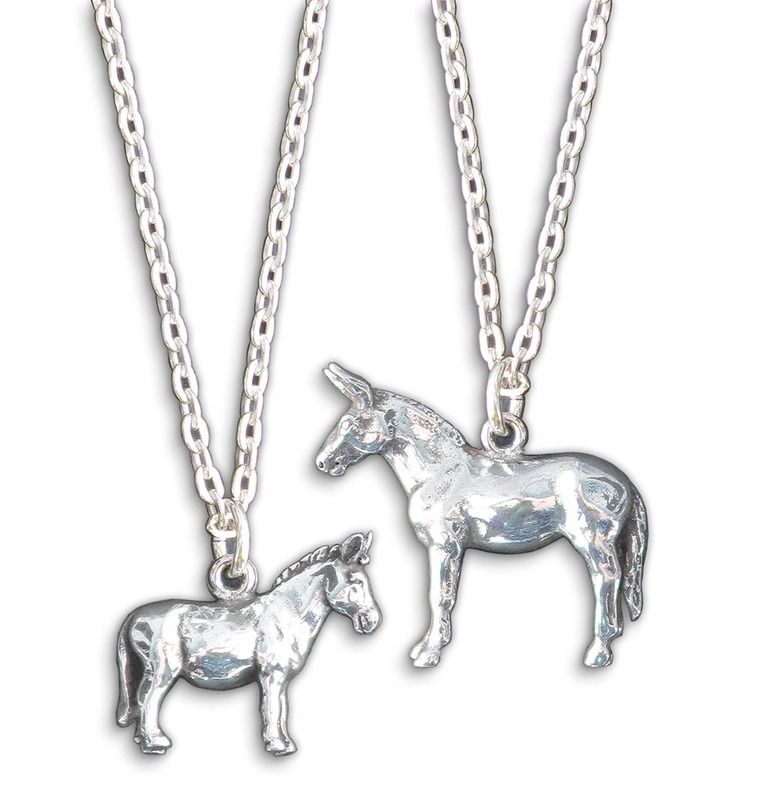 Donkey is 5/8" tall, Mule is 7/8" tall. Sterling Silver Chain is 18"